The months leading up to summer are, according to several experts on the island, a good time to change your kitchen: your home’s centre of operations, that special corner, so intimate and familiar which we pass through time and time again every single day. So what are the latest kitchen trends? What type of kitchens are the most popular in Mallorca today? Apart from design, technology, light colours, endless shades of white and, above all, functionality; kitchens must be easy to adapt, a space which is as ideal for daily meals as it is for welcoming friends and family. An obvious port of call is German designer Birgit Müller, third generation of kitchen experts and a firm believer in open spaces which are large, modern, comfortable and practical and which turn your kitchen into the “centre of your home”. The brand’s clientele, which consists mainly of foreign residents on Mallorca, tends to come with their own ideas but is also open to their advice. “We offer customers a mixture of materials such as aluminium, a variety of wood, leather details…exclusive kitchens which feature materials which are not usually found in this room of the house”, says Felicitas Wolf, a Birgit Müller designer. What makes this brand really stand out is that it is “very creative” and incorporates ‘hidden’ details such as extractors, doors or trays which remain completely hidden and make it easy to adapt the space, as well as the latest in technology with remote controls and computers which match the rest of the furniture. Apart from varying versions of pure white and rustic wood, different shades of grey and cream also feature prominently. Personalised, branded, white or with wooden touches, but above all, extremely practical – these are the kitchens which, according to the experts, are most in demand on the island. Bursting with creativity, Birgit Müller also designs small sitting rooms or dining rooms which are attached to the kitchen using the same tones and complements, so that customers can enjoy the delights prepared in their kitchen in an informal atmosphere. 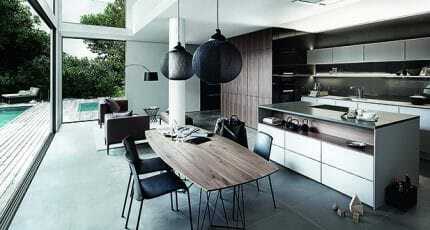 Under the impressive umbrella of Mallorca family firm Espacio Home Design Group are four stand-out kitchen specialists. At Miele Centre, Margalida Colom introduces us to a different type of clientele: one which “has great taste and opts for the highest quality”. Here, kitchens are conceived by renowned designers such as Philippe Stark from France, or Piet Boon from Holland, and are always adapted to suit each client’s requirements and space. 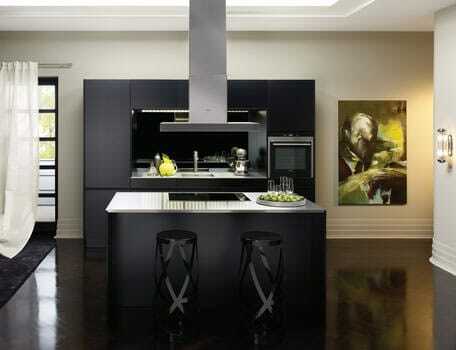 The main colours used are whites, and earthy or warm shades, and Dupont countertops are amongst the main highlights. 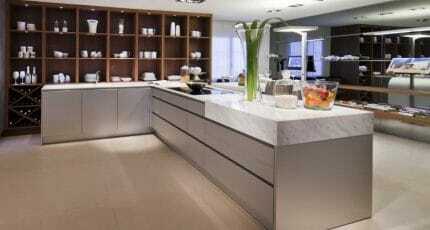 Miele Centre likes to ensure customers are fully involved in the final design of their kitchen, and presents show-cookings every three months in collaboration with well- known chefs trained by Paco Roncero (one of Ferran Adria’s disciples) or Marc Fosh, amongst others. 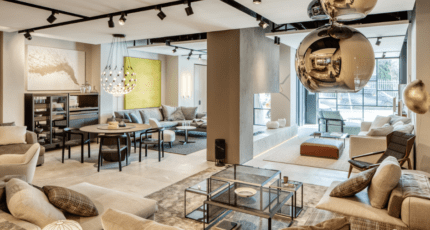 Guests at these demonstrations not only include future potential buyers but also architects and decorators, so that they can all experience their kitchens in full working order, contribute their ideas and “develop brand loyalty”. Cocinart makes an art out of practicality, considering all the little details that make cooking a feel-good experience. The aim is for the end user to be cocooned in style with the advantage of well thought out, friendly features. 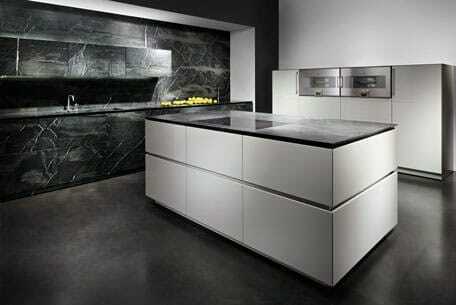 When it comes to SieMatic Estudi, variety is the name of the game. Customers choose between “modern, purist, minimalist, white, wooden or beige; or more luxurious BeauxArt classics with lacquer finishes”, as Regina Rochell explains. It is important to note that there are 1900 colours available to choose from. Here clients like to choose their own accessories and share their opinion, so lately “we carry out individual projects directly with each client, rather than with the construction company”. In other words, Regina adds, the kitchens are “personalised to suit each family and their requirements”. SieMatic has noticed that kitchens are “increasingly open plan and designed as a part of the living room; they are designed to be lived in”. Family homes benefit from added accessories such as a double oven to make “preparing large family meals or parties much easier”. Meanwhile, Spazio Varenna, another popular option from Espacio Home Design Group, brings unmistakable Italian design to Mallorca, its beauty evident in every curve, on show in Carrer Sant Feliu; fittingly, one of Palma’s loveliest streets. Last but not least the Mallorcan company, Aquaquae, offers Italian Boffi kitchens which are “functional, practical and built for use”, as Cristina explains. Colour-wise “white is very popular but it is combined with wood to give it a warmer feel”. 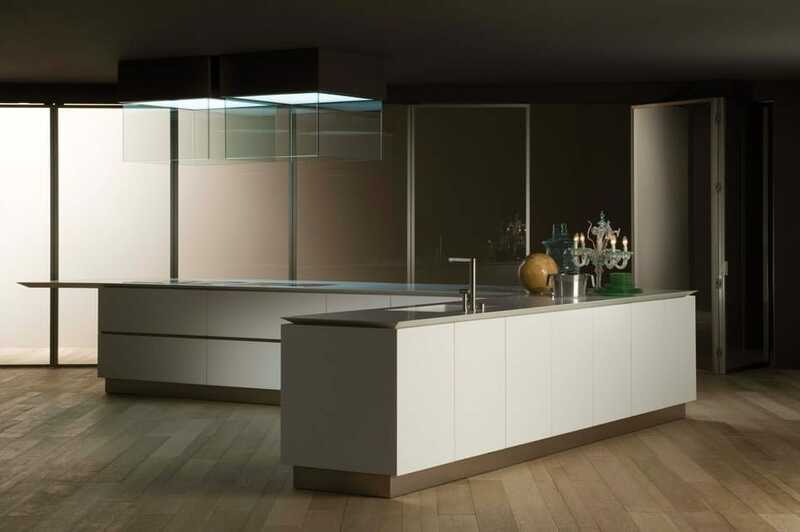 Aquaquae adapts each kitchen according to the space available which means that “no two kitchens are ever the same. A personal project is drawn up for each customer according to their taste and space”. The company also offers “complete refurbishment and interior design projects for your home”. We hope you have found this article about the Luxury Kitchens Mallorca useful and that you have many memorable stays in Mallorca as a result of our recommendations.